Samsung's latest press release contains a number of new technologies that we expect to be seen on the S9. The most notable of them is the Exynos 9810, Samsung's newest flagship SoC. The Galaxy S8 was released way back in April, which means that this is about prime time for speculation on its successor, the S9. Samsung, in a press release a few days ago, showcased its latest technologies that will be honored with awards for Outstanding Design and Engineering at the upcoming CES 2018. At face value, there seems to be nothing overly interesting about the listed products but the last two are smartphone components which we expect to feature in the next generation of Samsung flagships. The first is the Exynos 9810, Samsung's newest flagship SoC. This year's flagships were all powered by the Exynos 8895, and the 9810 looks to be a direct successor. Like the 8895, however. the 9810 will be built on a 10nm manufacturing process. This is also the case for the Snapdragon 845, the other SoC Samsung will use on its next-gen flagships. The other item on the list is the Samsung ISOCELL Slim 2X7. The latest Samsung sensor is a 24 MP one, with a 0.9μm pixel size, Tetracell, and remosaic technology. We expect it to be seen in the Exynos versions of the next-gen flagships. Meanwhile, Samsung is said to have dropped plans for using in-display fingerprint sensors on the Galaxy S9 due to technical difficulties. 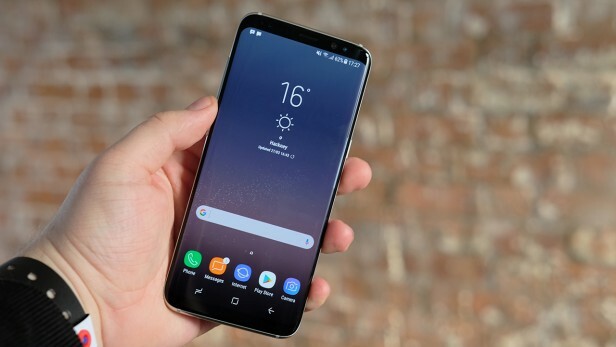 The South Korean giants are set to begin mass production for the S9 and S9+ next month, and believe the in-display sensors will be ready by Q3 2018 when the Note 9 is released.